Executive director Peter Coady attributes the need for an extra day to the lack of a second venue because of the Palace Cinemas closing on nearby Ouellette Ave.
“The actual real hard opening night is on the Wednesday, the seventh,” he said. The Palace was closed and the long time theatre is being converted to the new offices of The Windsor Star. 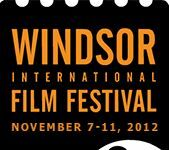 Opening night, as usual, will feature a Windsor premiere of a Canadian film with a director and/or actor from the movie in attendance. Prior to the main festival getting under way there will be the 48-hour FlickFest on Monday Nov. 5 showing short locally-made films that were made over one weekend. And the Short Film Program on Tuesday features the work of student filmmakers. Coady hopes to have all three of the Capitol’s screens available for the fest but this is subject to negotiation with the new management of the historic theatre, the Windsor Symphony Orchestra. As for double-screenings of popular films, which some have suggested has been an omission in past years, Coady says festival organizers are looking at it. “If we’ve got a hot title we’ll try to work in a double screening,” he said. Coady has been mulling the idea of a second venue at the Art Gallery of Windsor “if we really needed an extra screen. “That’s something that’s under consideration” but for now the site is just the Capitol.